It's the (digital) land where you get to plant your flag. There are some really big landowners out there who like to put billboards all over their land (because they get a lot of people driving by and can charge a lot) but there are also some small owners. We're all somewhere on that spectrum. Either way, the question is what do you want your land to look like? Weeds, dead grass, and rusted bicycles generally don't call to people who might drive by to see how it looks. The good news is that we can clean it up for you. Yeah, we don't need to install a skyscraper but maybe we can give the place a fresh coat of paint, plant some shrubs that actually look good together, and start watering the lawn again for you? Caroline took a leap with her site and body image counseling business. She’s a sunshine impaciting all kinds of people in all kinds of ways and she needed a site to speak to the people the way she does. Site creation. Site design. Logo and Branding. Amy Byrd is a master salesperson with her own team and community. 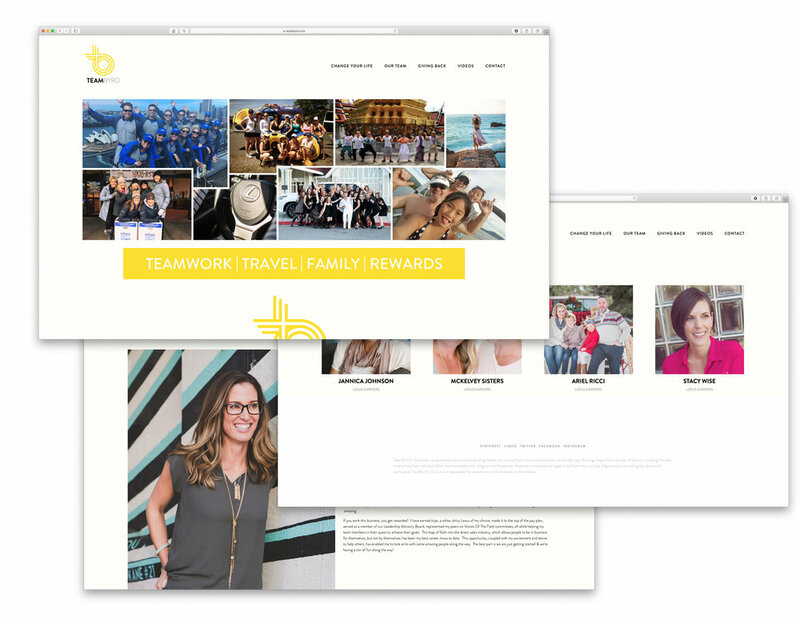 She was running an older site that we got to revamp, modernize, and match her vibrant personality a bit better. 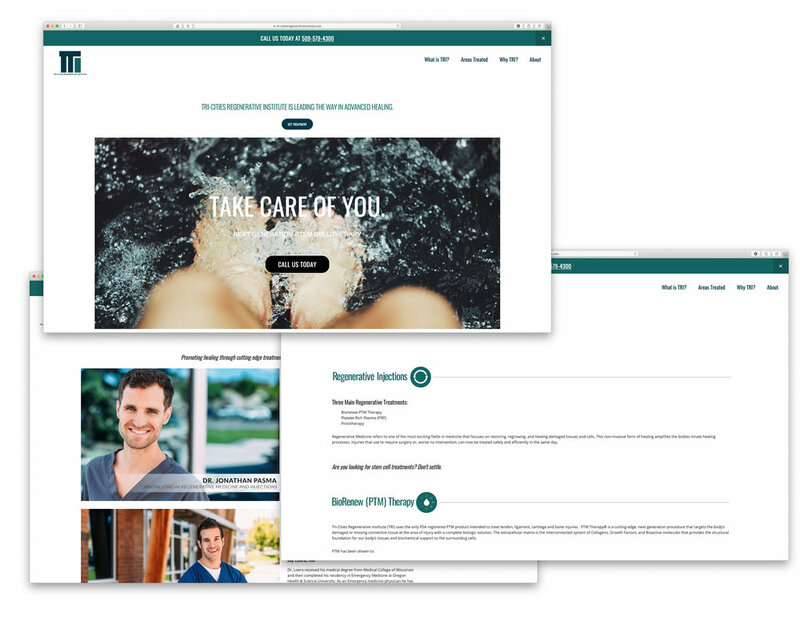 Tri-Cities Regenerative Institute started in 2018 and needed a site to handle lots of medical information in a friendly and modern way. Julie Elaine recently “remodeled” and we love how it turned out for her. Leith is starting with a splash page for her personal endeavors. More to come. Wheat & Associates sells insurance of every kind. They were running an old website that we revamped and cleaned up for them. Ferris Pier is a new band launched in 2018 and we’re proud to do all of their album covers, logos and website. Site creation. Site design. All products and artwork featured. 08left sells aviation and travel artwork and apparel. Mango Ink sells event and holiday stationery. Branches is a spiritual community started in 2010. Republic of Equal sells "apparel to unite". 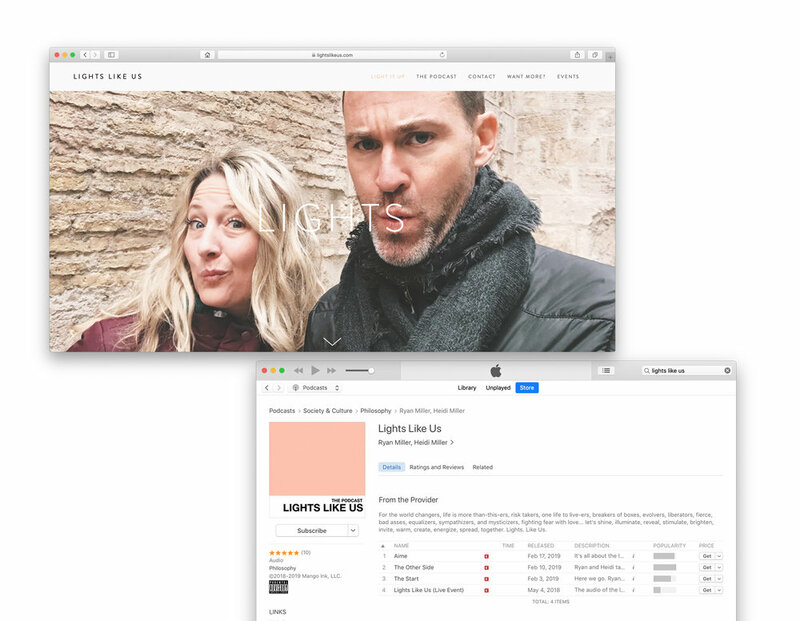 A podcast and community for Ryan and Heidi Miller. Site creation. Site design. All artwork and products featured. 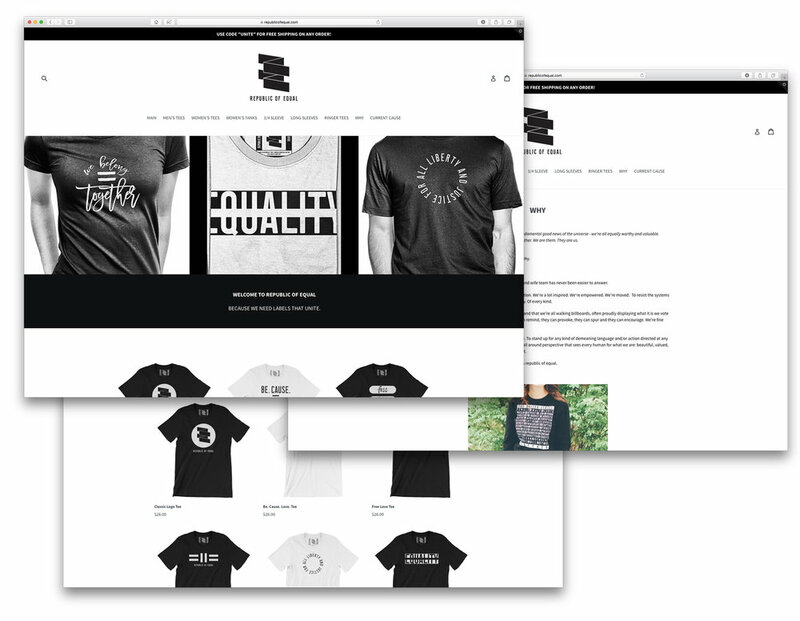 We design sites using Squarespace and/or Shopify, depending on the need.